The CCA works with several like-minded organizations to further its mission. 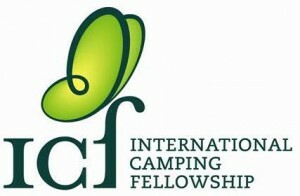 The International Camping Fellowship is a worldwide assembly of camping professionals interested in sharing their enthusiasm, knowledge and commitment to the camping experience. It was founded in 1987 amidst the energy of individuals gathered around the dream of a better world through camping and it is rooted in the belief that we can make a difference by “bringing together the world of outdoor experience.” The International Camping Fellowship welcomes all who foster international understanding through the organized camp experience. 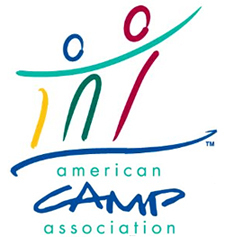 The American Camp Association is a community of camp professionals who, for 100 years, have joined together to share knowledge and experience and to ensure the quality of camp programs. Because of the diverse 9,000 plus membership and exceptional programs, children and adults have the opportunity to learn powerful lessons in community, character-building, skill development, and healthy living — lessons that can be learned nowhere else. As a leading authority in youth development, ACA works to preserve, promote, and improve the camp experience. Established in 1997, Our Kids Media is the trusted source to help families find top private schools, camps and retirement living options. Both its consumer and industry magazines, online portals and consumer shows enhance the personal and professional lives of millions of Canadians every year. Powering the most comprehensive directory of schools, camps and retirement communities in Canada, Our Kids enables families to research and compare profiles to find the best choice for their loved ones, from birth to retirement. With five print brands, annual consumer shows, and more than 20 digital properties, Our Kids is the largest multimedia publisher within this sector. Our Kids multi-device channels enable families to access information on all platforms: in-person, print, online, tablet, mobile. The Roberta Bondar FoundationThe Roberta Bondar Foundation responds to the recognized need within society to educate and improve knowledge of the environment in a way that stimulates interest, excitement, creativity, responsibility, and for some, the desire to study in this area. The Summer Camp Bondar Challenge helps campers develop a lifelong affinity for the joy of photography and the love of nature by using the camera to “see” the environment, articulate their feelings about it and begin to understand the science. Dr. Christopher Thurber is a board-certified clinical psychologist and professional educator who enjoys sharing ideas with camps and schools around the world. He is the co-founder of ExpertOnlineTraining.com, a website that hosts instructional videos for youth leaders and the co-author of The Summer Camp Handbook, an award-winning preparatory resource for new camper families. Chris also wrote The Secret Ingredients of Summer Camp Success, a DVD-CD set that lowers the intensity of first-year campers’ homesickness by half. He serves on the faculty of Phillips Exeter Academy in New Hampshire, where he lives with his wife and two boys. Expert Online Training is the world leader in video-based instruction for youth development professionals. Our faculty of 24 talented hosts has created a library of more than 100 modules covering topics in Safety, Child Development & Play, Supervision, Leadership, Behavior Management, and Creative Literacy. Now you can administer an entire day of pre-arrival training with a few simple mouse clicks! And by complementing your on-site training with EOT’s self-paced, online training, you will boost your staff’s confidence, increase their stamina, and improve the quality of the relationships they form with the young people you serve. Prevent accidents and promote excellence. For a free demo, visit ExpertOnlineTraining.com or call us toll-free (877) 237-3931. The Outdoor Council of Canada (OCC) is a nationally incorporated, non-profit, practitioner-owned organization that has been founded to encourage, promote and facilitate safety-oriented outdoor education and recreation for every Canadian. The Historica-Dominion Institute is an independent, national, charitable organization dedicated to Canadian history, identity and citizenship. The Institute’s programs include My Park Pass, which encourages young Canadians to explore our national parks and The Canadian Citizenship Challenge, a contest based on Canada’s citizenship test. Located in Peterborough, Ontario, the Canadian Canoe Museum is a unique national heritage centre that explores the canoe’s enduring significance to the peoples of Canada. SmartBoater.ca is a project of the Canadian Safe Boating Counsel in partnership with the National Search and Rescue Secretariat. This website is a valuable resource for waterfront staff to teach the importance of lifejackets, the purpose of float plans, the necessity of boating safety equipment and the effects of hypothermia along with many other useful water-safety related topics. The free, fully downloadable, educational videos available on the site convey vital information to help staff teach their campers. The ChariTREE Foundation gives children an opportunity to connect with nature and contribute positively to the world by planting free tree seedlings.